Car Models of Braidwood wanted more sales for their online shop. We helped them to boost their sales by offering a comprehensive website update and SEO optimisation service. Email newsletter: template creation and training. 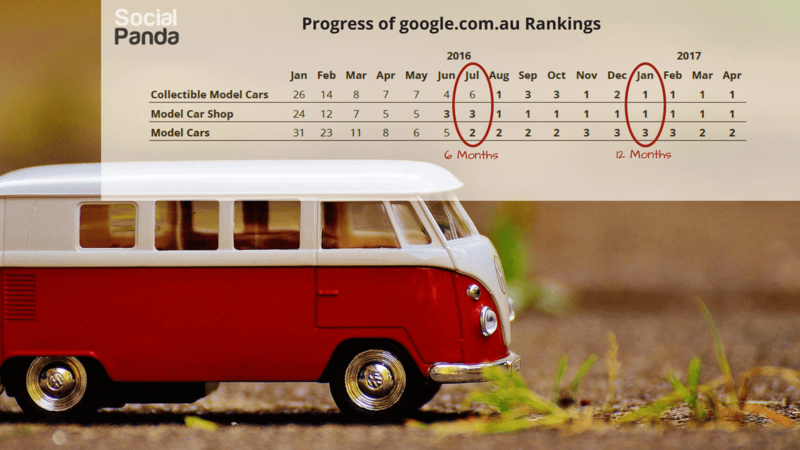 Ranking in the top 3 for all major keywords, Australia wide. An increase in online sales due to updated website & successful SEO. Newsletter that brings immediate sales for ‘new arrivals’. "Thanks to Social Panda, my online shop for car models is now modern, able to be accessed on all devices and MOST IMPORTANTLY is ranking on the FIRST PAGE OF GOOGLE. As the Google rankings have increased, so have my online sales. Kelly is always helpful and gives me great advice when I need it. I highly recommend Social Panda!"